The full moon in July is known as the Thunder Moon as thunderstorms are so frequent at that time of the year. Also, known as the Full Buck Moon (as this is the time that a buck’s antlers are in full growth mode), these names date back to the Native American and Colonial Americans, both of which used full moons as a calendar to track the seasons. 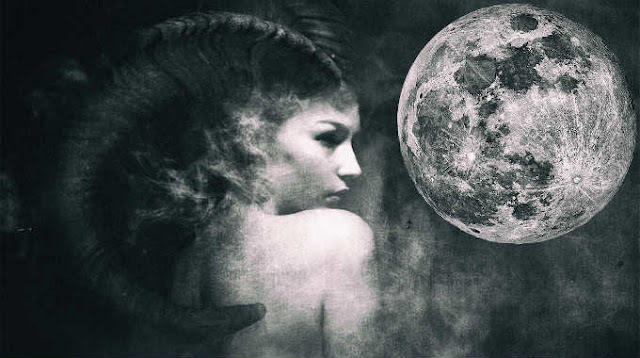 This specific full moon is connected with a significant energetic shift. In 2017 this moon will fall on July 9th, bringing with it an intense energy with the ability to affect your relationships, home matters, and financial aspects. This energy will bring you clarity in these areas, with previously confusing matters suddenly falling into place in your mind. Have you been waiting for something to change or grow in your work life? Are you considering making a major change in your relationship? Consider this to be your sign that it is time to embrace your desire for change. You have changed from the person you were at this time last year, and with that will come a change in many different aspects of your life. The recent New Moon happened in Cancer, which meant that it was preparing us to clear the emotional baggage that has been occupying our minds. It served to remind us that we are emotionally strong enough to handle whatever roadblocks that may be preventing us from moving forward, leaving this baggage firmly in the past. Following the groundwork that was laid in the New Moon, we must now take a deep breath and step forward, focused on accomplishing our goals and making the necessary changes in order to achieve our dreams. Throughout the previous moon cycles, we have been letting go, slowly, of all the negative things in our life that have been anchoring us in place in our current life stage. Now that we are feeling the positive energy that comes from letting these anchors go, it is time to reap the rewards and build upon our efforts to continue to move forward in a positive direction. Focus on your personal energy, and draw energy and strength from the Full Thunder Moon. It will amplify any energy that is going on in your body, mind, and spirit. This shift is your opportunity to move your life forward – don’t miss your chance!